To keep things new and fresh on our many trips to the Seattle area, we are headed slightly south by southeast of the city to Snoqualmie Falls, and the famous Salish Lodge. The Salish Lodge is just 30 minutes from Seattle and Bellevue, it is a world away in ambience and natural beauty. The lodge has just 84 rooms with oversized tubs and fireplaces. Many have views of the Snoqualmie River, which ought to be raging after a weekend of record rainstorms and wind. The Lodge started as the eight room Snoqualmie Falls Lodge back in 1916, as a rest stop for travelers. It soon became known for its great country breakfasts. 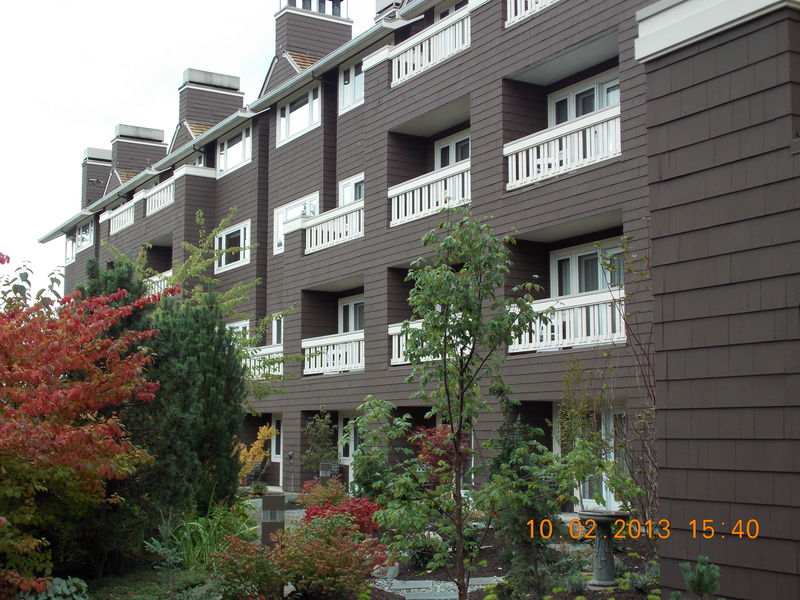 In 1988, the buildings were completely remodeled, and became known as the Salish Lodge. You will recognize the Salish as the setting for the TV series, “Twin Peaks” by David Lynch. And they still have their famous four course “Country Breakfast” complete with honey from their own hives. In fact, their 120,000 honeybee apiary started in 2011 produces 600 pounds of honey annually. They have since tripled the hives, with an annual production now of 2400 pounds of honey. The honeybees help with the production of the berry crops around the Lodge. They even have a resident beekeeper, Mr. Daniel Sullivan of West Seattle. How many lodges in the entire world have their own beekeeper? And their honey butter is spectacular! 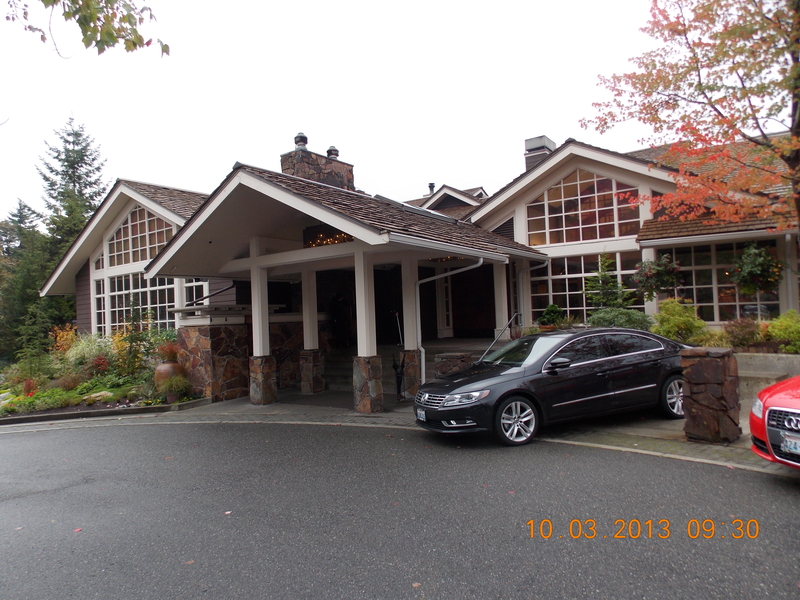 The Lodge itself sits at the base of the beautiful Cascade Mountains. The nearby forest consists of both Douglas firs and pine trees. The wildlife consists of black-tailed deer, rainbow trout, and eagles. The snowy winters support skiing and other winter sports, along with the summer sports of mountain biking, hiking, rafting, kayaking, and fly fishing. And the wineries are nearby! Golf is nearby at the TPC Snoqualmie Ridge. But the big attraction here are the famous Snoqualmie Falls. The Falls are 268 feet high with more than 1.5 million visitors annually. Though much of the Snoqualmie River is diverted for power plants, there is enough flow, especially now, to create spectacular falls. 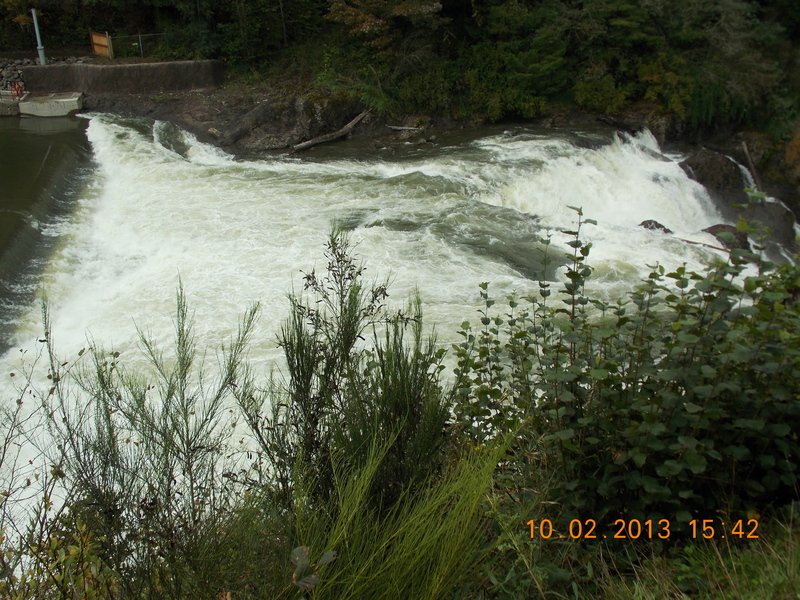 Leave it to the frequent and heavy Washington state rains to create some heavy and spectacular flow on the Falls. The Snoqualmie people have lived in this area for centuries, long before Amazon, Costco, and Microsoft. The Falls are a traditional burial site, to the Snoqualmie, the falls are “the place where First Woman and First Man were created by “Moon the Transformer” and “where prayers were carried up to the Creator by great mists that rise from the powerful flow.” The mists rising from the base of the waterfall are said to serve to connect Heaven and Earth.